Camping last year at Laurance Lake near the base of Mt. Hood? Beautiful. During our stay, I took photos of our surroundings, some of which were of a resident eagle. The eagle rarely sat alone, as ospreys dive-bombed him every time he took to a branch overlooking the lake. I got the impression that they battled regularly over the fish. In fact, the eagle stole a fish or two from the osprey while we were there. 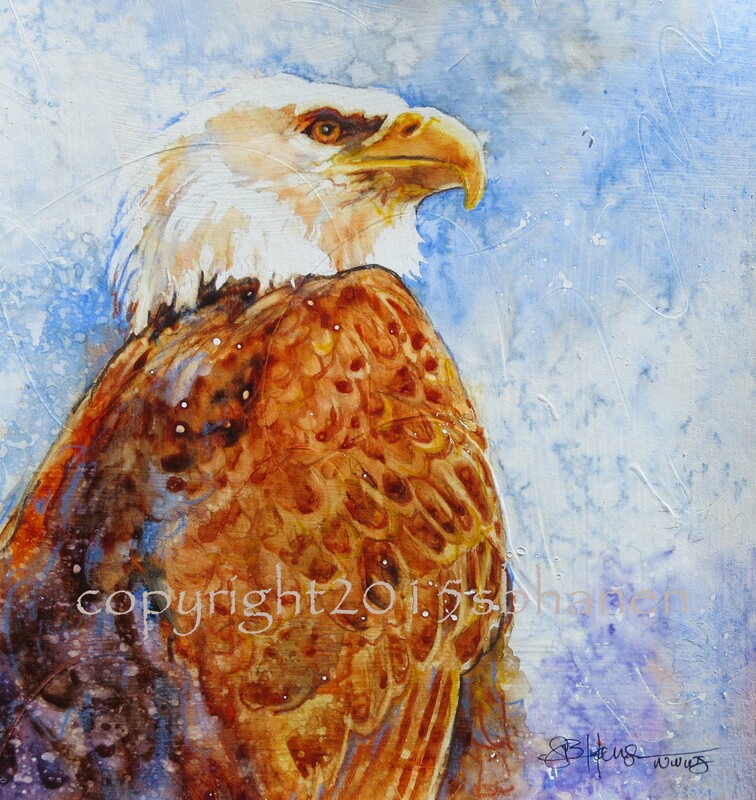 I’m on somewhat of a bird-painting kick right now, so I used the eagle photo for my Thursday Painting of the Week this week. He is so majestic and commanding, “The Admiral” seemed a fitting title. I love the intensity of his stare. He is truly a gorgeous creature. Hope you love it too. Happy Thursday everyone!